Desire Pearl is all about being social. 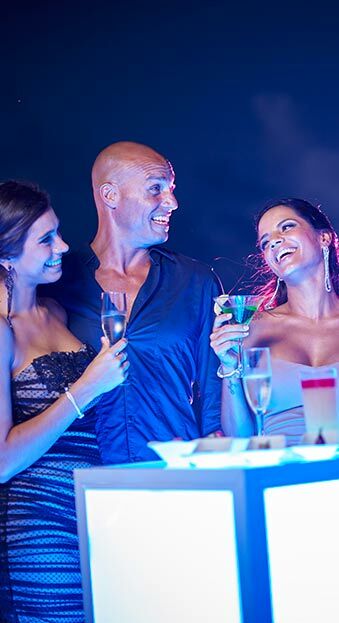 There are many opportunities to meet other fun couples to maximize your Desire Pearl experience. 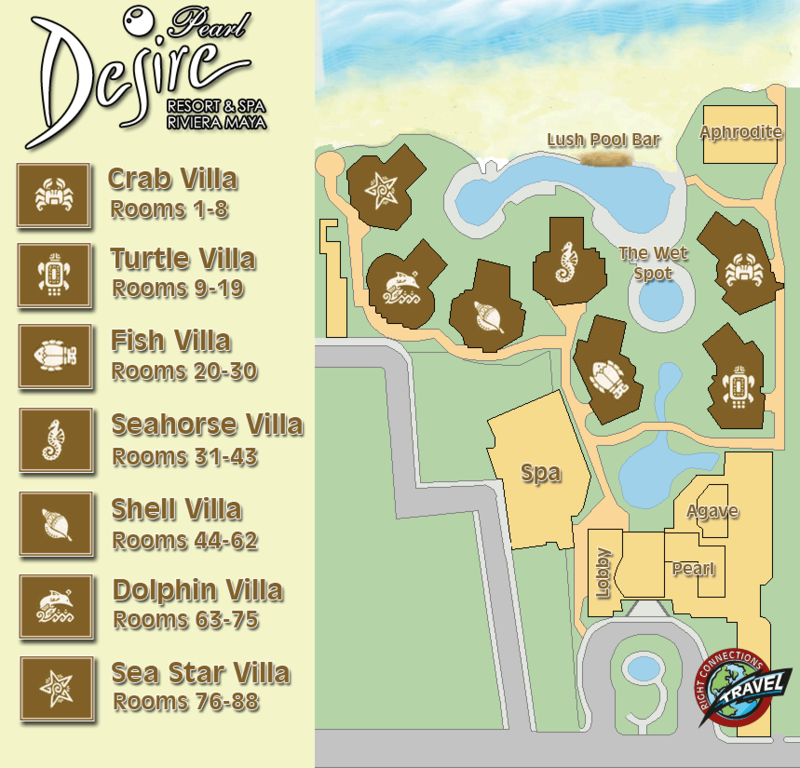 Explore the resort, the lounges, social areas and Night Club and begin to indulge yourself in the fantasy of Desire Pearl. Located adjacent to the Jade restaurant, atop Aphrodite's, Jade offer the perfect spot for a before dinner martini and enjoy a beautiful Mexican sunset. When the night comes, Obsession awaits with the formula to make your most forbidden fantasies come to life. Desire Pearl features Obsession, a unique disco where you can enjoy the most sensual rhythms of the Mexican Caribbean, the music as well as the most deliciously exotic atmosphere. Prepare your body for a night filled with passion at our clothing optional resort and surrender to all what "Obsession" will bring to your night. Make it your addiction every night, only here you and your partner will find the perfect scene to let your imagination fly so that your dreams can feel as real as your passion and your most forbidden fantasies. Open from 9:00PM to 2:00AM. The Wet Spot Jacuzzi Lounge at Desire Pearl features a delicious, clothing optional environment. This is the perfect spot to relax with your partner in the hot tub, rest in a cozy bed around the jacuzzi, tan in the bright Caribbean sun and enjoy the company of the other guests. The outdoor showers and circular walls that open to a panoramic view of the hotel, also offer a glance of the turquoise sea and the vegetation that surrounds Desire Pearl.